Valentine’s day in Sorrento and Amalfi Coast. 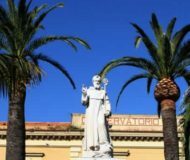 In Sorrento, February 14 is not only Valentine's Day, since it is also the day when we celebrate the patron ot the city: Saint Antonino. 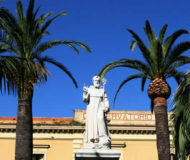 Description: In Sorrento, February 14 is not only Valentine's Day, since it is also the day when we celebrate the patron ot the city: Saint Antonino. Valentine's day for those who live in or pass by Sorrento assumes a special meaning. Yes, because besides being the well known love holiday, this 2011, like every other year, locals will celebrate their Patron Saint day, Saint Antonino. Description: Valentine's day for those who live in or pass by Sorrento assumes a special meaning. Yes, because besides being the well known love holiday, this 2011, like every other year, locals will celebrate their Patron Saint day, Saint Antonino.